Darlin’ recently screened at the “What The Fest” last March at the IFC Center in New York City. The movie is a sequel to Lucky McKee’s captive horror film, The Woman. 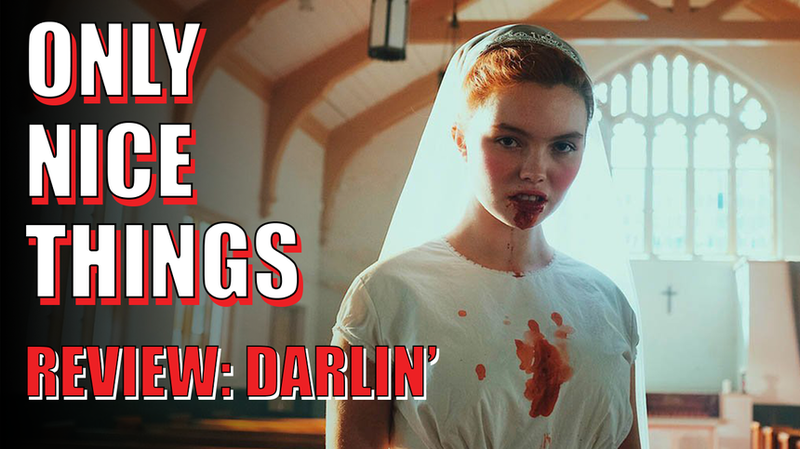 This coming of age indie horror story will definitely make you say “…what the…” from first time director Pollyanna McIntosh, who also reprises her role as the feral female. For the review, I was influenced by the DVD release of the Japanese zombie movie, Wild Zero. A special feature on the disk was a drinking game that prompted the viewer to take a drink any time certain stipulations appeared on screen like fire shooting out of something or a zombie's head blowing up. This always followed me and I finally got a chance to incorporate that aspect into what I call a drink along review. Grab a beer, say your prayers, and watch the drink along review HERE.